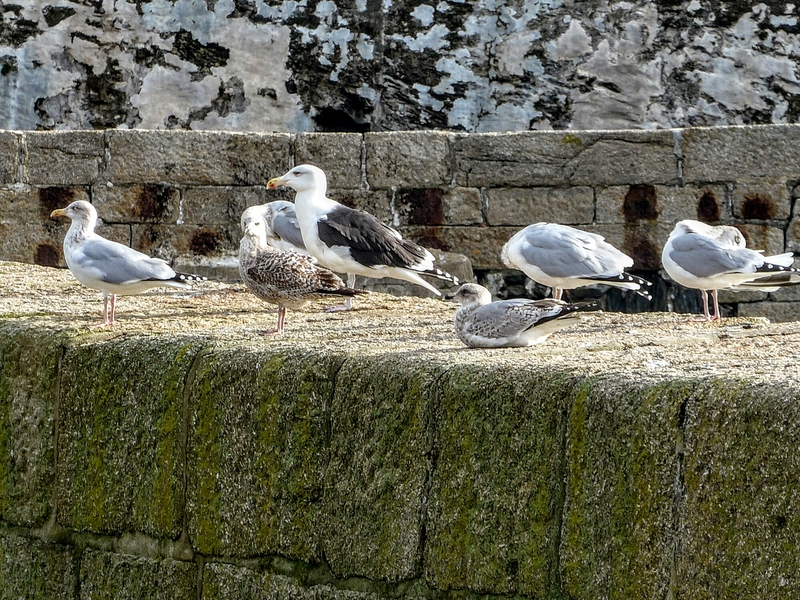 This was actually our last full day at Newlyn and the main event was a good lunch had been booked. 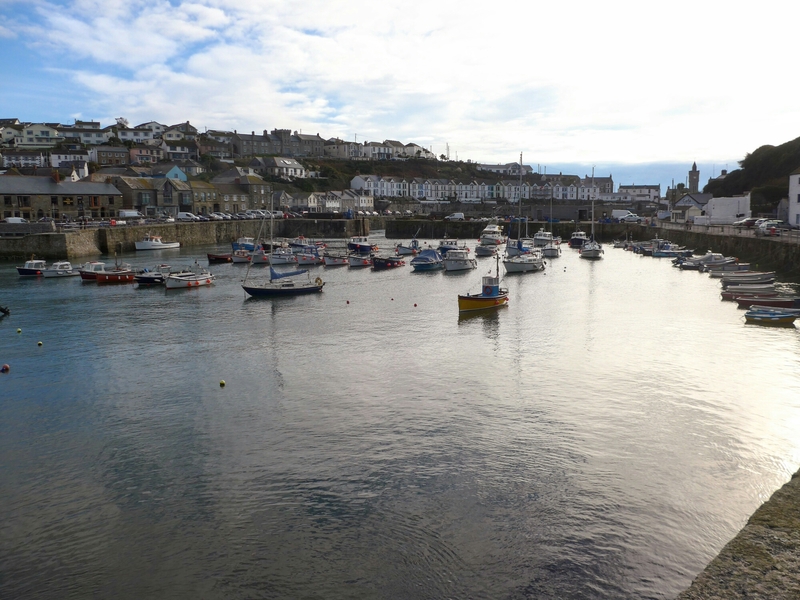 After a leisurely breakfast and a dog walking in dry conditions we set off to Porthleven a town a little way round Mounts Bay heading South towards the Lizard. 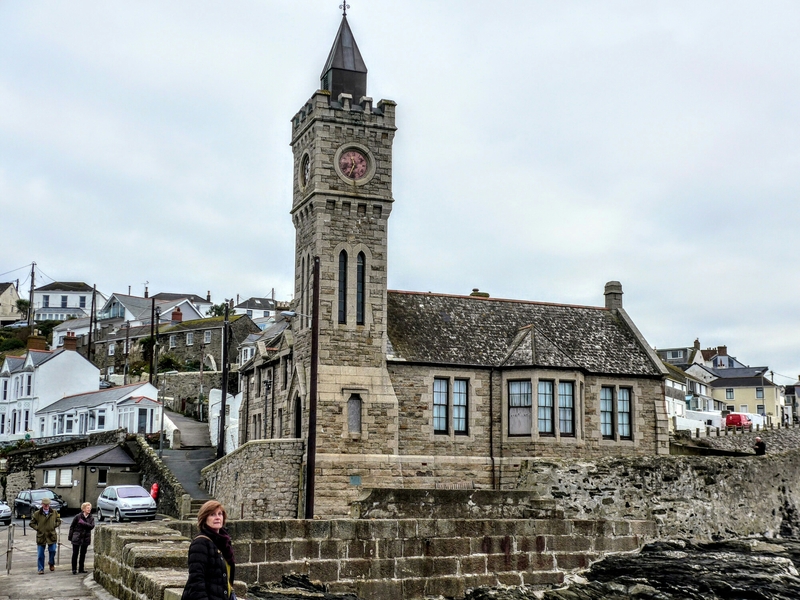 Porthleven is the town you always see pictures of when there are big gales in the South-West as the seas break spectacularly over the clock tower by the harbour, this one. 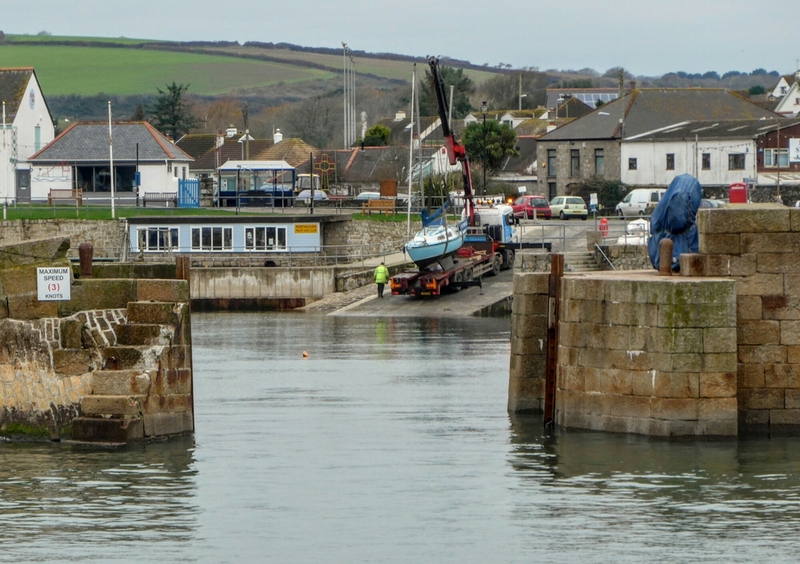 which has a double entry to keep the floods out and today they were taking boats out for winter storage away from harm. For our lunch we had booked in to Rick Stein at Porthleven, we’ve always enjoyed his TV programmes so thought we’d give it a go. Once again this wasn’t the place for anyone who doesn’t like fish, I think there was one option of chicken as a main course, but everything else came from the sea which was fine with us. The whole experience was excellent; they’ve converted the building very well and it’s warm, airy and comfortable inside; the staff were clearly very well trained and we’re attentive and knowledgeable; the food was well presented and delicious and you could get a very decent glass of wine to go with the food; and it was packed which speaks volumes on a cold Wednesday in November. Well worth the visit and a place to which we will certainly return. On the way back we did the shopping thing in Penzance again but came away without breaking the bank and headed back for an afternoon snooze before packing and getting ready for our journey home in the morning. Which proved uneventful and we were home around lunchtime . 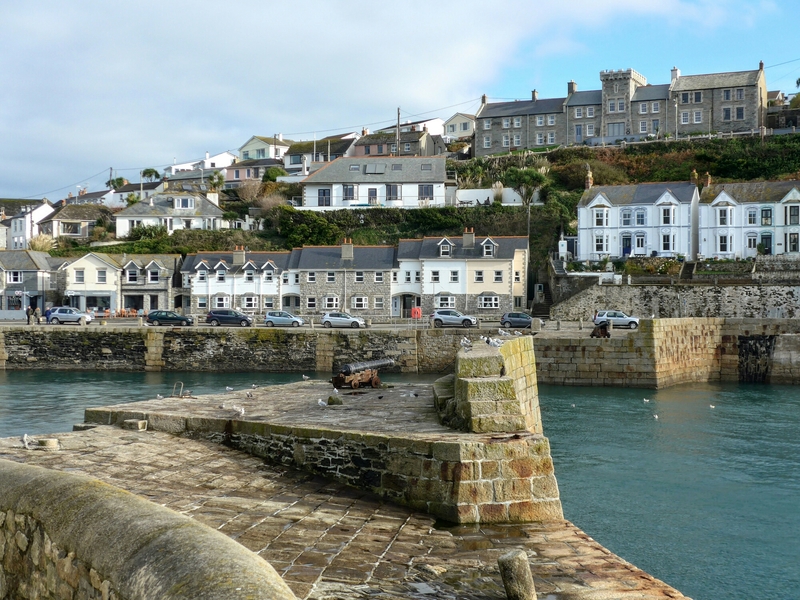 Another seaside village full of charm, Cornwall is a beautiful county! Lovely views. In a previous life, I used to spend a lot of time in Padstow, and have equally enjoyed Rick Stein’s hospitality.